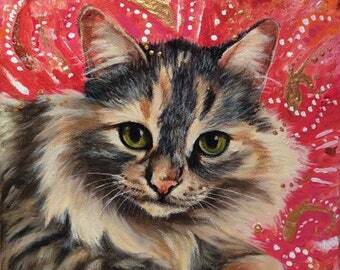 I am a fine artist specializing in animal art. I draw and paint whatever captures my eye, but animals will always be my favorite subject. I strive to capture a realistic, but artistic and expressive likeness of my subjects. I have a special fondness for horses and dogs, especially yellow lab mixes! Living in New Hampshire has given access to many beautiful and special wild creatures. Birds nesting in my backyard (including hawks!) and wild animals such as moose, deer, loons, and owls seen on vacation trips to the great north woods and White Mountains are a constant source of wonder and inspiration to me. As a lifelong horse lover, I am pleased to donate a portion of sales from my equine art to horse rescue groups including Journey's End Ranch Animal Sanctuary, Pure Thoughts Horse and Foal Rescue, and other horse rescue groups. 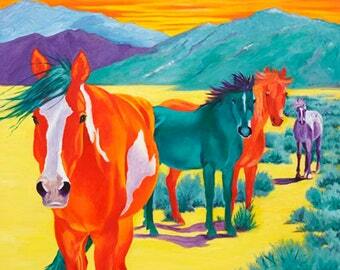 These groups have saved the lives of numerous horses, and I am proud to use my art to help. Many of the prints in my shop are from my Second Chances series, an ongoing project in which I paint portraits of rescued horses and tell their stories. I am also passionate about saving America's wild horse and burros. I have started a series of paintings of these magnificent animals. Unless something is done to protect them, wild horses will only be seen in photos and paintings. I will donate a portion of all sales of these mustang paintings, cards, and prints to Journey's End Ranch Animal Sanctuary (www.jersanctuary.org). Commissions and custom orders are always welcome! For more information on my artwork and Second Chances series, go to www.susanmonty.com. My award-winning art has been accepted into numerous invitational and juried shows throughout the country. 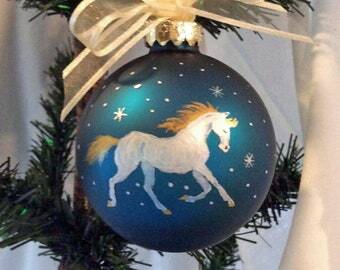 This ornament is absolutely beautiful! The image truly captures my niece's dog; it looks just like him. It's so realistic and life-like. His eyes are perfect! The lettering and decorations are lovely as well. Susan does a truly beautiful job; and is wonderful to work with. One of the best transactions I've had on etsy. Absolutely amazing! Lovely to work with! Highly recommend!! These ornaments were soooo special and the attention to detail-phenomenal! I would highly,highly recommend this artist. Thank you for such thoughtful keepsakes! Thank you for your order. I guarantee your complete and total satisfaction with each print, ornament or painting you purchase. I use only the highest quality materials and treat every piece I create with the same care and attention to detail so it will bring you joy for a lifetime. If you are unhappy with your custom purchase, please contact me and I will try and fix the problem. For other items such as giclee prints and ready-made ornaments, I do accept returns. If not completely satisfied with your purchase, please contact me. Most items are shipped either USPS, Fedex or UPS, depending on the size of the item and the location of the buyer. Tracking information provided. Extra care is taken to insure that your new work is well packaged and protected. It is important to me that it arrives to you safe and sound. Art work will typically be shipped within 24-48 hours of payment received. Copyright of work, including all rights of reproduction in any form, are held by the artist, Susan Monty. You must ask for permission to use any images in any form of reproduction. Images were scanned to represent original colors, but your monitor colors may vary the colors slightly.